Introducing Oriole Online Tutorials, a new medium that lets you see, hear, and experiment at the same time and in the same place. Oriole, both a bird and the name of O'Reilly's new Online Tutorials. Oriole Online Tutorials are a unique new medium from O'Reilly that blends code, data, text, and video into a narrated learning experience with executable content. Learn more. Chiltota, en Español. Oriole, in English. Between spring and late summer, beautiful songbirds return each year to nest, migrating from Mexico and Central America. Apple orchards here in Sebastopol, Calif. fill for a while with birdsong and rapid bursts of color, before the birds head back to the tropics by autumn. Last autumn at O'Reilly Media, surrounded by those apple orchards, we held a meeting about our future company direction. About how people use media to learn to do. Our intent was to look beyond books, beyond video, beyond even the likes of MOOCs or oh-so-many search queries leading to dubious StackOverflow threads. Andrew Odewahn, O’Reilly’s CTO, showed what his Brooklyn team of designers/developers had just created. A prototype product leveraging a blend of Docker containers on the back end, Jupyter notebooks used as middleware, and HTML pages that incorporate video with computable content, mixing fluidly together. Code as narrative. We recognized the implications. Our mission at O’Reilly is to “change the world by spreading the knowledge of innovators,” and we do that through technology books, online services, and tech conferences. However, tech innovators these days tend to be quite busy people. Much the same for their audience. How do we help busy people create amazingly useful media from which other busy people can learn to do? Back to the implications: looking at a notebook that conveyed an expert solution, accompanied by video of the expert describing their thought process—insights, challenges, mistakes, and all. For an expert, that's relatively quick to prepare, which is crucial for our talent network. Consider the people who use these tools. People who have jobs, families, responsibilities. People who may have been to university, but are probably at least a few years out of that, now in the midst of their busy lives. How do they learn? How does one shift from answering phones at a call center to being a product manager for mobile apps? I'm quite certain that a voted thread in an online forum or a starred open source repo isn’t quite going to get you there. Instead, people crave context. People generally learn within social context, something that matters—​something that MOOCs and EdTech missed. We sought to bring back that human element into the learning promise of this new medium. And that's why we built Oriole, a.k.a., O’Reilly Online Tutorials. You experience a combination of document plus computable code that syncs with video narrative. We couldn’t find that combo elsewhere. It reintroduces the human aspects: both an author’s perspectives conveyed through video, and a learner’s hands-on experience of running the code within a personalized session. Notably, there are no installation or configuration issues as barriers to learning. That’s quite unlike, say, the general experience of search engines leading to discussion forums leading to GitHub. Instead, with Oriole you run code from your browser, immediately hands-on. Change the code and re-run it. Learning alongside smart people who are solving hard problems, thought-by-thought, in context. Tim O'Reilly had posed a question immediately after the demo of the new medium: Who are the most notable people working in Jupyter and video? At the time, Andrew and I looked at each other, then said "Peter Norvig" in unison. Tim sent Peter an email, and before long we had a camera crew packed into the car, headed to the Googleplex in Mountain View. What we learned on that trip changed our view of what was possible. Peter stopped blogging in lieu of creating Jupyter notebooks. His enthusiasm was inspiring: about what this medium could accomplish for computer science education, also how video complemented the rich text and computable content, adding depth of context plus a human element. When Tim O'Reilly and Dale Dougherty first began making books their idea was to recreate the experience of an expert friend looking over your shoulder and giving you exactly the guidance and help you needed. Somebody you could rely on to show what mattered about the technology. Recognizing that now people learn from many more sources than books, we wanted to bring that kind of experience back into an immersive learning experience online. A few months after our visit to the Googleplex, we returned for an unconference called EdFoo. Top practitioners in education from all over the world convened at Google for one weekend. One of the sessions was led by Peter Novig, Fernando Perez, and Lorena Barba. Fernando is the creator of IPython, which evolved into Project Jupyter, while Lorena is one of the most notable professors leveraging Jupyter for teaching. The week prior, groundbreaking physics research to discover gravitational waves had been announced, published as a Jupyter notebook. The room was abuzz. The session built upon that, complemented by Peter's insights and examples. Listening to Fernando and Lorena describe their vision of Jupyter in education, one imagined the beautiful birdsong of Chiltota emerging. Then we demonstrated Oriole, based on Peter’s work. 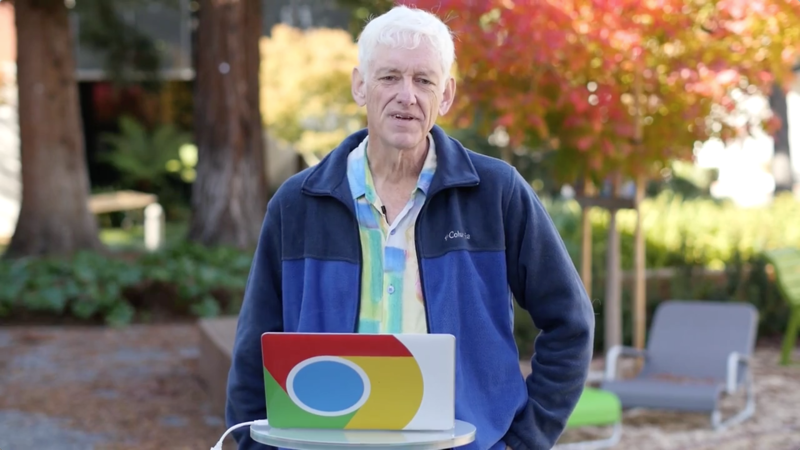 Check it out: Regex golf with Peter Norvig. Figure 1. Peter Norvig presents Regex golf. True to form, Peter responded by sending us a bug report. We sent a couple back. Game on! Meanwhile, a question came up during the session: "When will you make this open source?" Short answer: check out an open source project called Thebe, named after a moon of Jupiter. It's the basis for this medium, for using Jupyter as middleware. A longer answer provides key insights: what you're seeing in this new medium represents a mix of authors sharing their expertise, plus editorial curation, expert design, arguably some interesting DevOps practice. Let's say roughly 20% of that is technology, built on open source projects. The other 80% is made by people, none of whom are going to be checked into GitHub anytime soon. Deep within a Maker space called Brooklyn Research, a team of people expert in both interactive design and development were busy innovating on UX design. That team created this medium; many thanks to Rune Madsen, Zach Schwartz, Fred Chasen, Martin Bravo, et al. Many thanks also to our video studio led by Kirk Walter, our screencast studio led by Mike Morton, most especially to our product engineering team and ops team, and many other wonderful people throughout O’Reilly and our network of talented innovators. Now we're deeply interested to see how people use this medium: the makers, the learners, and the doers. Article image: Oriole, both a bird and the name of O'Reilly's new Online Tutorials.